Buenos Aires has turned me into a liar. Actually, it’s turned a lot of people into liars. 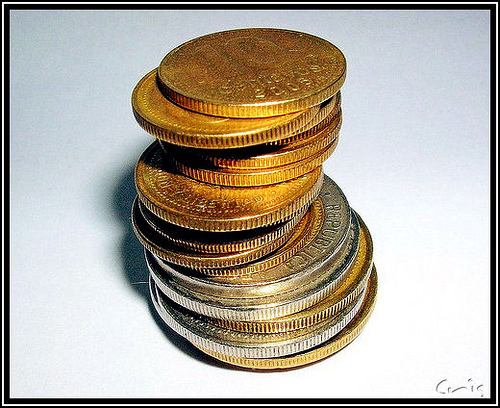 Every day is a fight to obtain monedas in Buenos Aires. I’m a scheming sort of person now; all of my business transactions are laden with the thought: “Will this person give me a moneda?” and “How can I obtain a moneda from this person without seeming like a jerk?” The stress! It turns what should be friendly business transactions into deceptive, bitter ones. 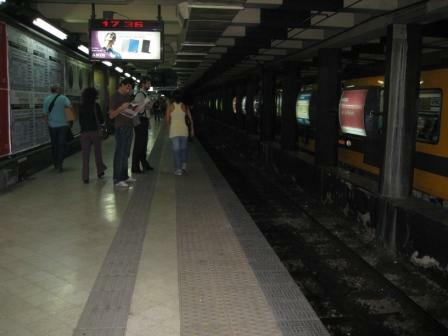 Buenos Aires life runs at a different pace than in the United States. In the U.S., North Americans focus on all of the “rules” that dictate daily life, and things often go as planned. For instance, stores open at 9 a.m. sharp and don’t take afternoon siestas; cashiers have the correct change; waiters jump to attention at any customer flinch; and food ordered for delivery usually arrives in a half hour. Here, I prepare for the unexpected and learn to move with what turns up. I am peering into the darkness of the Subway–the green line from “Cathedral” to “Congresso.” It’s the line I take to class in the morning. The subway is relatively safe. It’s tight in the morning, but no different from the DC Metro. Riders keep their wits about them–the norm in any city. A ride is 30 cents U.S. 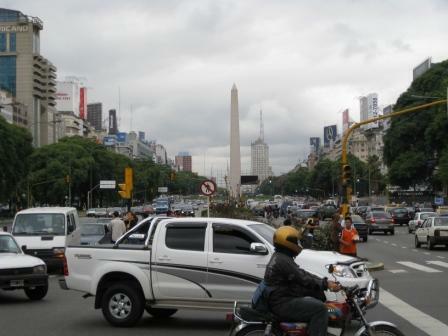 I must balance the last entry’s kind sentiments about Buenos Aires with the cold realities of the city. There are dark sides to the lovely vida here. There is dog sh*t everywhere. It’s almost impossible to enjoy your surroundings when you have to survey every inch of the sidewalk. On every street. No matter where you go. The people of the night are called “cartonerros.” Because of the economic hardships of the city, low income and poor people from the suburbs enter the city at night to rifle through the garbage for recyclables in order to earn their living. This is a veritable source of income; however, the feeling of despair from seeing complete families searching through garbage without gloves is palpable. Drivers are crazy and pedestrians are moving targets. Children are overly doted upon. They have the stereotypical Latin angst–they scream and flail more than any other children I’ve ever encountered. Yet parents seem to have a high threshold; they don’t spank or correct the behavior until all of my nerves have frazzled beyond repair. I’ve been keeping more positives in reserve. Please don’t think this is indicative of my entire experience. On a happier note, I still have a few ounces of courage left after starting Spanish class today–completely in Spanish. Still trying to remember to breathe.